Last Sunday, hundreds of people came to the Glasgow – the Caring City’s warehouse in Govan for a huge learn to ride cycling event. Play on Pedals has joined forces with South West Community Cycles, Glasgow Bike Station, Soul Riders and Free Wheel North to create the new Glasgow Community Cycling Network. 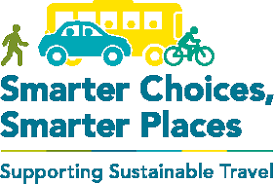 Funded by Glasgow Council through the Smarter Choices, Smarter Places scheme, the consortium of groups will encourage more people to cycle in Glasgow over the next six months, through a series of learning to ride events, led rides, travel planning, linking of cycling projects and support for new cyclists. The Learn to Ride Extravaganza was the first event organised by the Glasgow Community Cycling Network and was a great success. Over 60 children attended Play on Pedals sessions and an estimated 300 people enjoyed the day’s other events which included a skills track, stunt bikes, trails bikes, smoothie bike and Dr Bike mechanics. Free Wheel North also provided their adapted bikes, including tandems, hand-pedal bikes and a 7-seater bike. More events like this are planned for the coming months, as well as each individual organisation delivering a range of cycle training and support for all ages.